I wanted to share a post on my experience of healthcare in Colombia so far, but in this post I’ll just give a non-expert summary of how things work here and the different insurance options. Please note that this is just what I have picked up in the four and half years I’ve lived here, and any opinions I give are based purely on my personal experience. Different healthcare providers may have different approaches to treatment. 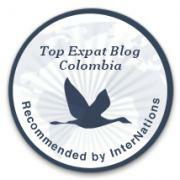 To be 100% confident about your coverage, you should buy some comprehensive international/expat insurance to cover you for your first 3-6 months in Colombia while you get settled and work out what your best in-country insurance options are. If you’re from the US or another country with a private healthcare system, healthcare in Colombia may not be so different from what you’re used to. As I’m from the UK, where healthcare is free at the point of service and paid for by the state, most people don’t have health insurance, so this was a new concept for me when I got to Colombia. Foreigners who do not have a cédula de extranjería (Colombian ID card for foreigners) will not normally be able to sign up for the general EPS health coverage. EPS (Entidades Prestadoras de Salud) are healthcare providers and there are quite a lot of them. All employees in Colombia are required by law to sign up to an EPS. If you work for a company as a permanent employee, your employer must provide you with this basic health insurance – sometimes they are affiliated with a particular EPS, in which case you’ll be signed up with them. In other cases, you will need to tell them which company you wish to be affiliated with. If you have a partner/spouse with EPS coverage, you can be added as a beneficiary of their health insurance policy. Normally you will need a visa and cédula first, but it’s worth asking the EPS if you can be added as a beneficiary without a cédula, as the policy is actually your partner’s, not yours. I am with Compensar and haven’t had any major problems with them other than adjusting to the different approaches when it comes to healthcare. I’d advise avoiding Café Salud, which has been associated with major corruption scandals since it was taken over by a new director general within the last few years. Many people don’t feel comfortable with only having EPS coverage, and take out additional insurance. My EPS is Compensar, but I pay a premium each month for their Plan Complementario, which gives me access to the best hospitals in Bogotá, more clinics throughout the country, and allows me to book an appointment directly with a specialist without having to be referred by a general doctor. Other EPS offer similar options, and it’s often called a Plan Prepagado (prepaid plan). You also have the international private insurance companies such as Allianz, which is also prepaid. You pay a certain amount each month and you normally pay something for each appointment or treatment. This may be a good option for people with pre-existing medical conditions who want to be sure they’re covered for any treatment they may need. Private health insurance policies normally need to be in addition to the obligatory EPS coverage, unless you are taking it out as international [expat] health insurance. Before moving to Colombia, my only experience of a healthcare system was Britain’s National Health Service, which is paid for by our tax and National Insurance (social security) contributions. Historically, it has been a very good service, so most people don’t buy additional health insurance. Now that I’ve experienced healthcare in Colombia, I can say that I’ve noticed some differences. On reflection, I think these relate to the fact that one system is a state-provided service, and the other is private. For example, I now get the feeling that in Britain, general doctors won’t refer you for a scan, to a specialist, or prescribe particular medication unless they feel it is necessary. This is because doctors in Britain need to be conscious of not wasting public money. The upside is that doctors don’t tend to over-prescribe in the UK, so it isn’t common for the average person to be taking a lot of different pills unless they have a particular medical condition. The downside is that people find it difficult to access specialist doctors, and there is usually a long wait for appointments. In my experience, a visit to the doctor in Colombia seems to involve being prescribed every single drug that may conceivably help with whatever ailment you’re suffering from, being referred to one or two specialist doctors, sent for blood tests and scans and basically having your diary filled with medical appointments, when all you went in for was a sprained wrist! Maybe its because healthcare in Colombia is run by private entities, and therefore they want to encourage you to pay for as many different services and drugs as possible, even if you probably don’t need them. This is good in the sense that anything unusual will be picked up as soon as possible by a blood test or scan, but the downside is that it can leave you feeling anxious that there’s something seriously wrong. This may be similar to other private healthcare systems, but it’s just worth bearing in mind when you’re going to the doctor about something which seems minor. Don’t let Colombia turn you into a hypochondriac! What are your experiences of healthcare in Colombia? Is there any information you would add? Would you recommend your EPS/insurance company? Please leave a comment in the section below! Thanks Margee! Getting used to another country and culture isn’t always easy 🙂 But if you try to find the things you love, it is possible to feel settled eventually! I love Bogotá’s mountains, sunny mornings, markets and art! What comprehensive international/expat insurance did you buy to cover you for your first 3-6 months? I had to check, as I couldn’t remember offhand, but I actually bought travel insurance with Outbacker, which cost £145.00 GBP and covered me for 12 months. My main concern was to be covered in case of an accident or serious illness which might incur considerable medical expenses, and emergency repatriation, in case I needed to be flown back to the UK. These things were covered, but I’m not sure that my policy would necessarily be described as comprehensive medical insurance. It was enough for what I felt I wanted to be covered for, and by the time it expired, I had insurance through my job at the British Council. If I were you, I would shop around (Googling ‘Expat Insurance’ might help), think about what is most important to you in terms of coverage and then request a few quotes. The Expats in Colombia Facebook groups are usually pretty helpful, as people often ask questions about insurance. Also, Naomi, what is your monthly cost both for your EPS as well as for your Plan Complementario? So, I am now covered through my partner as a beneficiary of his policy, as I am no longer working for a Colombian employer. He is registered as self-employed and the amount he pays each month depends on how much he states that he earns on average. I believe he pays around 150-180,000 pesos per month, and he doesn’t have to pay any extra to have me on his policy. Then for Compensar’s Plan Complementario (which gives us additional benefits such as more clinics we can go to for general appointments, the ability to see a specialist without having to go through a general doctor, access to the best hospitals if needed, etc.) we each pay 75,000 pesos per month on top. The main factors influencing the cost of EPS medical insurance will be how much you are earning and your age. The cost goes up significantly after age 65 (my mother-in-law has to pay 500,000 pesos a month for her insurance). I have heard of healthcare providers refusing to offer insurance because of pre-existing health conditions, but if you were accepted with a pre-existing medical condition, I am not sure how or if this would affect how much you pay for EPS coverage.